There is more to La Union than being a fast-rising surfing mecca in the country. The humble town of Bacnotan, a strong advocate of sustainable environmental management, has begun getting the spotlight as the home of rare waterfalls. The provincial and municipal government work hand in hand in promoting this town’s unspoiled nature particularly its forests and waterfalls. 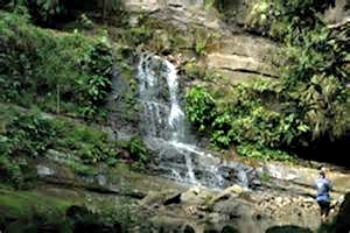 Lawrence Carbonell, senior administrative assistant of Bacnotan, said three falls were recently discovered to be potential tourist spots namely the Zim-sim-ug Twin Falls, Sapilang Falls and Guinabang Falls. “The waterfalls are all natural and tourists who love nature and adventure would surely love visiting the places,” said Carbonnel. Zim-sim-ug Twin Falls is 20-feet high and has a basin-deep of almost 10 feet. It is also known as Arosip Falls which got its name from Barangay Arosip where it is located. Carbonnel, however, said that before reaching the waterfalls, tourists could enjoy the 6.5 kilometer Arosip Eco-Trail recognized by the Department of Tourism (DOT). “Upon entry to the village, visitors will be greeted by the cool shade of tall trees and fruit bearing trees and numerous springs,” Carbonnel said. DOT also recommends tourists to try 4x4 and dirt biking because they will find the road exciting especially because from the top, one could see the panoramic view of the lowlands of the whole town. Camping, hiking, swimming and fishing are just some of the best activities visitors will surely be engrossed in. Further, Sapilang Falls is found at Barangay Sapilang where the Don Mariano Marcos Memorial State University main campus serves as the entry point. Since the university is the gateway to the falls, Carbonnel reminds tourists to ask permission from the school’s management or must be guided by local tour guides to reach the place. Along the trail is a rambutan plantation (oval,single seeded fruit with leathery skin) where picking of fruits is not allowed. “Tourists only have to follow the 30-minute trail before they are able to dip and swim at a pool of sparkling water from the falls,” said Carbonnel. Lastly, visiting the Guinabang Falls found located at Barangay Guinabang is worthwhile for a weekend escapade.